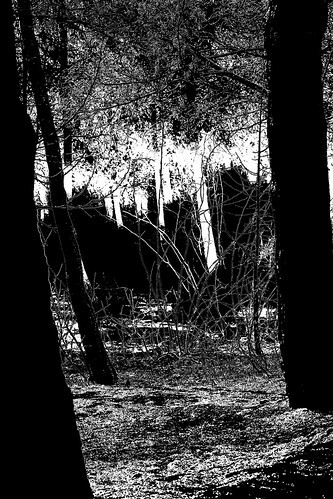 Now is the winter of our discontent, a photo by Teacher Dude's BBQ on Flickr. Made glorious Summer by austerity. 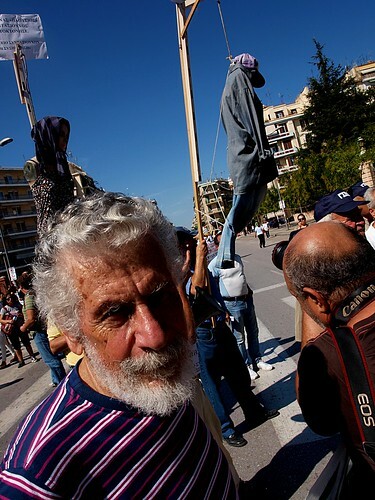 Angry pensioners take part in Greek general strike march, a photo by Teacher Dude's BBQ on Flickr. Between 20,000 and 25,000 protesters took part in anti-austerity demonstrations in Greece's second largest city, Thessaloniki. In contrast to the events in Athens the protest passed off peacefully. The best things in life are free, a photo by Teacher Dude's BBQ on Flickr. The Greek media has recently been full of stories concerning a mysterious list of 30 politicians who are suspected of having income far in excess of that declared. Newspapers and TV channels have devoted endless hours and column inches to the subject even suggesting the names of those possibly on the list and what there presence means for Greece's embattled party political system. However, behind the furore created its seems that other battles are being fought. 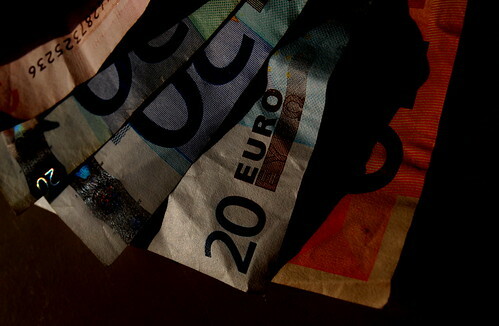 Athens has been in tough negotiations with its creditors over the terms of the next installment of "bailout" cash and part of the agreement includes unpopular cuts in public spending and yet more tax hikes. While the Greek government has made it known that it is holding out for better terms the reality is that they have little room for manoeuver and no leverage. At some point they will have to acknlowlege this and send the appropriate measures to be approved in parliamwent. And then the real battle will begin. The current three party coalition consisting of the nominally conservative New Democracy party and the nominally socialist PASOK and Democratic Left parties have little in common other than a desire for Greece to stay within the eurozone. Their stint in power has proved disasterous in terms of popular support if opionon polls are to be believed and they are faced with with backbench rebellion. Even the right wing New Democracy has problem not only with its fiscal policies but also the fact that its leader, Antonis Samaras badly fractured the party during his successful leadership bid. Faced with the prospect of shaky support in parliament for any more austerity legislation the party whips are perhaps searching for new ways of ensuring backbench discipline. In the past this was achieved by by threats of de-selection but with PASOK in terminal decline and the other parties support fading away such moves have less appeal. Many MPs already know that they face little chance of re-election if the political climate remains the same and that yet more taxes and cuts will condemn to oblivion at the polls. The other threat used extensively after the last austerity legislation vote in 2011 was expulsion from the party, with both PASOK and New Democracy using this blunt instrument to deal with recalcitrant MPs. However, such a move proved to be politically expensive as many MPs either formed new parties or defected to other existing ones. A move that cost the PASOK - New Democracy coalition votes in the 2012 elections. So what to do next? With more traditional methods of maintaining the party whip exhausted the threat of investigation by the tax authorities for undeclared income might prove more effective. The fact that the names have not been revealed just adds to the uncertainty and could be used to nip any revolt in the bud with just the hint that names will be leaked to the press. After decades of financial scandals involving both New Democracy and PASOK members, even in the highest circles of government the number of those in parliament with economic skeletons in their cupboards will surely include more than the 30 indivividuals being investigated by the authorities. The beauty of endemic political corruption is that not only does it reward loyal supporters, it can also be used to rein in challenges to the status quo. All it takes is a word to friendly journalists and a high profile trial to thwart rivals. 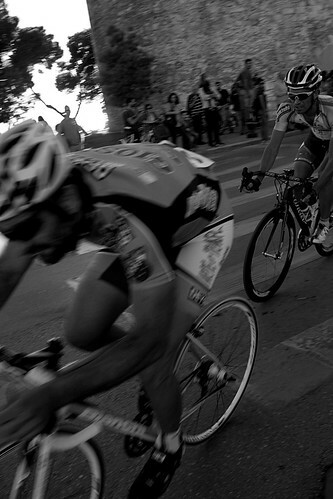 Thessaloniki urban cycle race, a photo by Teacher Dude's BBQ on Flickr. As part of the International Day Without Cars a large part of the centre of Thessaloniki was closed to traffic and people wandered along usually car clogged roads enjoying the change in pace. Walking along the seafront, you had the impression that the city had become a holiday resort for the day, with people enjoying the sunshine and gently making their way past the cafes and bars. The one exception to this was the cycle race in which hundreds of professional racers flew around the city and gave Thessaloniki a small taste of the Tour de France for an hour or so. After that finished it was once more back to gentler rhythms as people signed up for the Popular Ride which was altogether a more laid back affair. 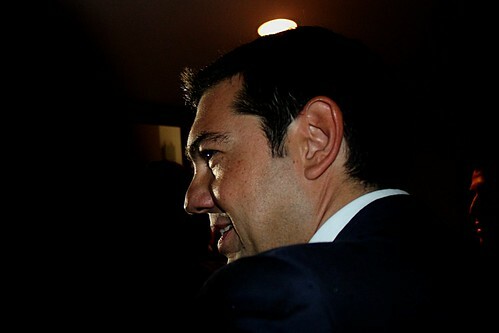 Alexis Tsipras - leader of SYRIZA, a photo by Teacher Dude's BBQ on Flickr. For fans of signs and omens the sudden end of summer and onset of rainy weather that accompanied the arrival in Greece's second largest city of the leader of the Radical left Coalition, Alexis Tsipras probably made perfect sense. The sudden chill in Thessaloniki seems to be a fitting metaphor for his relationship with the press as SYRIZA has an uphill battle on their hands trying to get the party's message out in the face of intense mainstream media hostility. With most of the traditional media joined at the hip to more mainstream parties such as New Democracy and PASOK Tsipras has no natural allies in the media, whose members often play a dual role of journalist and party supporter, an incestuous set - up that has hobbled objective reporting for decades. Although, by law his party's success in the previous elections guarantees them a certain amount of airtime on state run channels, the rest of the media has done its best to play down their importance.Hardly surprising given the fact that so much of Greece's media is owned by extremely rich oligarchs who are fighting tooth and nail to ensure the country implements austerity conditions demanded by the EU and IMF and so remains in the Eurozone. The last thing they or the embattled coalition government need is another strong challenge from the Left that threatens to derail the current round of negotiations over spending cuts. As a result SYRIZA has found it hard to gain traction in public opinion and do more than present itself simply as a party of protest. Often it is forced to react to news agendas promoted by the current administration and their supporters in the Greece's news rooms. With the news cycle out of their hands they are forced to play defence and find it difficult to persuade anxious voters that they have are of constructive ideas and not just criticism. Then again, it would have naive of Tsipras to have expected any other response from a media set up that is so wedded to the corruption and amorality of Greek government politics. Instead of begging for a place at the table with the big boys, SYRIZA needs to get its message across to the people who no longer read papers or believe what they see on the TV news bulletins. Some activists are unhappy that that the scale of their victory in June's election has made the party complacent, more interested in playing traditional party political games instead of using their new found leverage to reach out at the grassroots to more people affected by the collapse of the economy in a more direct manner. 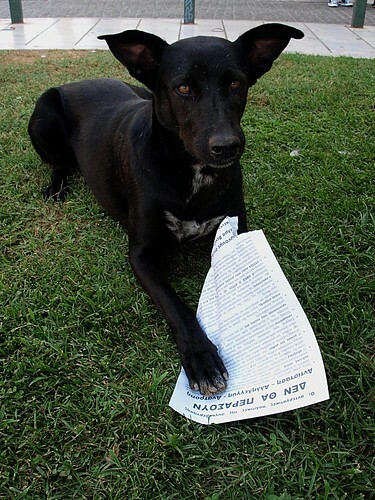 They Will Not Pass - Greek revolutionary dog, a photo by Teacher Dude's BBQ on Flickr. This year's protest marches to mark the start of the new political year passed off without incident in Thessaloniki. About 30,000 people participated in the three main demonstrations, and in contrast to last year no fighting was reported. It seems that the continued grind of austerity is taking its toll on Greece's opposition and this can be seen in the turn out of such protests which lack the numbers and vigour of previous ones. This was, in part the result of the prime minister Antonis Samaras's decision not to make the traditional state of the union address at the fair, a spectacle that acts as a lightening rod for violent clashes between marchers and riot police. In part perhaps people are suffering from demonstration fatigue or perhaps they have lost the hope that taking to the streets can change anything. The decline in such protests does not mean that the current round of cuts and job cuts have been accepted but rather Greeks seem to have decided that they are inevitable and are now looking to their own personal survival. Greek protesters burn EU flag at anti - austerity protest, a photo by Teacher Dude's BBQ on Flickr. Taken during yesterday's demonstrations at the Thessaloniki International Trade Fair.